You may have heard of Matthew Schreindorfer’s incredible journey in the last 3 years, a young, newly married engineer who battled for his life, all the while trying to help other patients and raise awareness for advanced immunotherapy treatments in Canada. 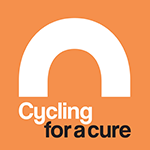 This year’s “Cycling for a Cure – Cell Therapy, hope for tomorrow” event will be held in Matthew’s honor. His wife Katia, who was present every step of the way, is proud and honored to be our spokesperson to help continue Matthew’s legacy. We were living the perfect life: high school sweethearts, best friends, and soul mates. In June of 2014, we got married, but upon our return from our honeymoon, disaster struck. Matthew was diagnosed with Acute Lymphoblastic Leukemia on August 8th, 2014 at the age of 24. The road ahead was quite the emotional roller coaster filled with remissions and relapses, major obstacles, but also witnessing the goodness in people and major advancements in cancer treatments. In January of 2015, when all possible treatments in Canada had failed, we didn’t give up and neither did his doctors. We shared our story on social media and with everyone’s unbelievable generosity and support we raised enough money for Matthew to receive an incredible immunotherapy treatment, in the United States, that brought him into remission for the first time. After realizing the potential for such treatments, Matthew and I made it our mission to raise awareness for advanced immunotherapy treatments to come to Canada, so that no one ever had to go through the adventure that we did. In the midst of his battle, in addition to many interviews, we spent countless hours helping patients and their families by providing them with guidance or words of inspiration, we would speak at different events and conferences about his journey or simply worked on organizing fundraising events to help with research funding. He had made it his mission to make a difference and had succeeded by playing a role in The Centre for Commercialization of Cancer Immunotherapy (C3I) obtaining a $57M grant to accelerate access to innovative cancer immunotherapies. Matthew passed away in February of 2017, after an incredible almost three-year battle with Leukemia. We can say that Matthew had done it all, and fought harder than was even thought possible. His incredible mental strength, positivity, and love for life helped him turn such a negative journey into a positive one. I will forever be grateful for the additional two years I got to spend with my husband because of these experimental Immunotherapy treatments. He was able to accomplish many amazing exploits during those years and was so proud to have been part of this immunotherapy awareness movement that had been created. I promised Matt that I would never stop what we had started and this is a part of his legacy. In Matt’s words, he would proudly say, KEEP ON KEEPIN’ ON! We’ve been doing everything that we can to raise awareness for immunotherapies just like the CAR-T cell therapy I did last year in New York, and it seems that we’ve been heard! Last year, Dr. Busque, a hematologist and researcher at Maisonneuve-Rosemont approached me and asked if they could use my story in their project pitch to try and win the hearts of the potential investors. I instantly gave my consent. I was a very small piece of a large puzzle, but am ecstatic that they were able to harness the inspiration of my story and use it to bring life saving immunotherapies to Canada. Such a breakthrough in modern medicine was bound to make its way to Canada eventually, but I sincerely believe that Help Save Matthew aided in accelerating that process. But looking deeper, the only reason my story is so inspirational is because of you, the thousands of heroes out there who saved my life. Without you, my story would just be the next one about some guy fighting a pretty tough battle with cancer. You made it what it is, the miracle story of a community coming together to save someone’s life by giving him access to the CAR-T’s he desperately needed. If you donated to HSM, or even liked, shared or commented on a post, then give yourself a pat on the back because you were just an integral part of a massive immunotherapy awareness campaign, and you played your part magnificently. But let’s not forget the researchers and entrepreneurs that pulled this whole proposal off. Their countless hours of hard work really paid off, in the amount of over 50 MILLION BUCKS to be precise. Their dedication to the advancement of medicine in Canada is truly remarkable and I think I speak for all of us who are affected by cancer when I say thank you from the bottom of our hearts. You are special human beings making a beautiful difference in the world.